A high-end spot on Budva Riviera! 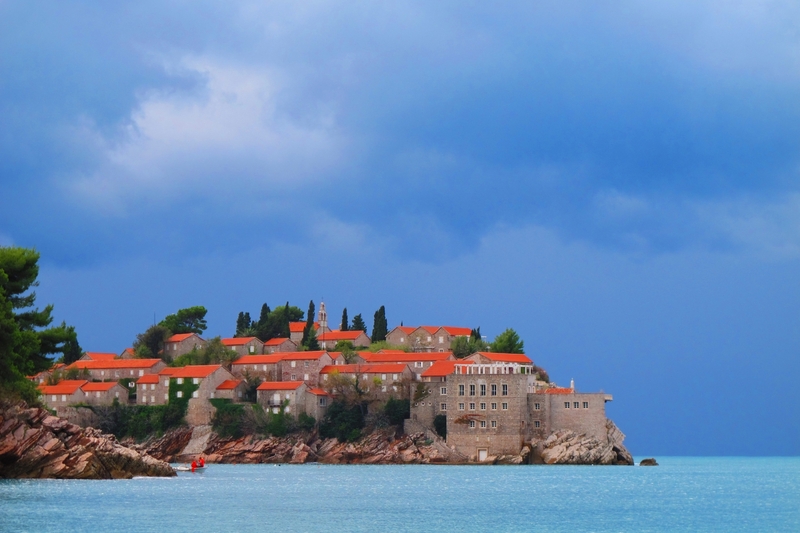 One of the most iconic images associated with Montenegro is the tiny islet of Sveti Stefan. The amazingly picturesque island is perched on an outcrop of rock and joined to the mainland by a narrow isthmus which arcs out into two perfectly formed sandy beaches. Once again a luxury resort now owned and run by Aman Resorts it has had a fascinating history. This islet's history dates back to the 15th century when the Ottoman Turks were about to conquer the Adriatic Sea. The Paštrović’s tribe of 12 families built a fortress in 1442 when it was inhabited by the first inhabitants. The fortress was surrounded by walls so that families from the surrounding villages could be sheltered from the Turks and the pirates. When the Turks were on their way to invade Kotor, Paštrovići were there to help and to defend the city. During another attack, Paštrovići conquered Turkish ships and from the captured prey, a fort was built, with one house for each of the 12 local tribes. 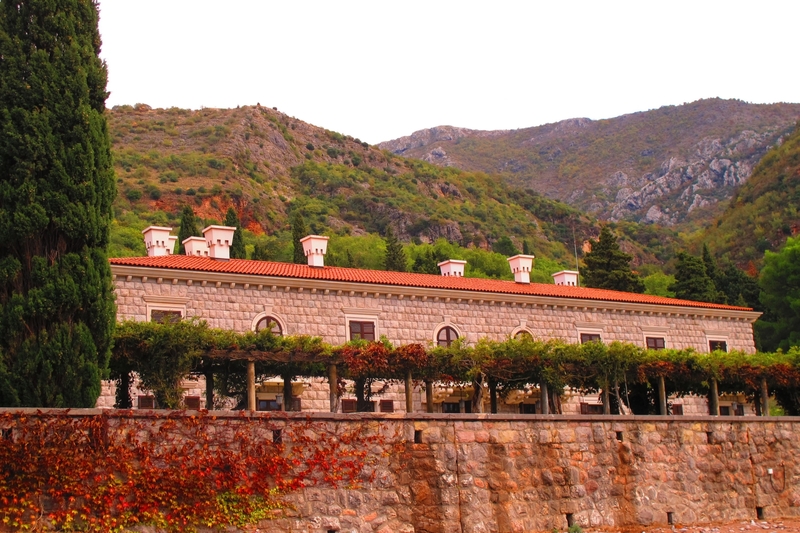 The fort was given the name Sveti Stefan (Saint Stephen), after the name of the church of Saint Stefan (dedicated to Archbishop Stefan the Firstborn). Fortress Sveti Stefan achieved a grand rise in the first half of the 19th century when because of its convenient position, it was the commercial and traffic centre of Paštrovići. It possessed a great strategic-trade significance during the Venetian Republic and trade with Venice. However, by the end of the 19th and at the beginning of the 20th century it soon lost both its economic power and significance. Many inhabitants (mostly fisherman families) left. The adaptation and renovation of the abandoned houses started in 1954 and remarkably by 1957, they have been turned into a unique town-hotel - the most attractive and luxurious hotel complex in the Adriatic and the Mediterranean, intended for tourism at the highest level. The renovation was done expertly so the buildings from the outside looked exactly as they were before, while the inside spaces were richly decorated and turned into luxurious apartments. By the 1970's Sveti Stefan had become famous for attracting the global jet set as well as Hollywood stars including Sofia Loren, Richard Burton, Elisabeth Taylor and many others. It remained the most exclusive resort on the Montenegro coast until the 1990's when it fell into decline during the break-up of the Yugoslav federation. Today, it is the part of Montenegro, located within the municipality of Budva. 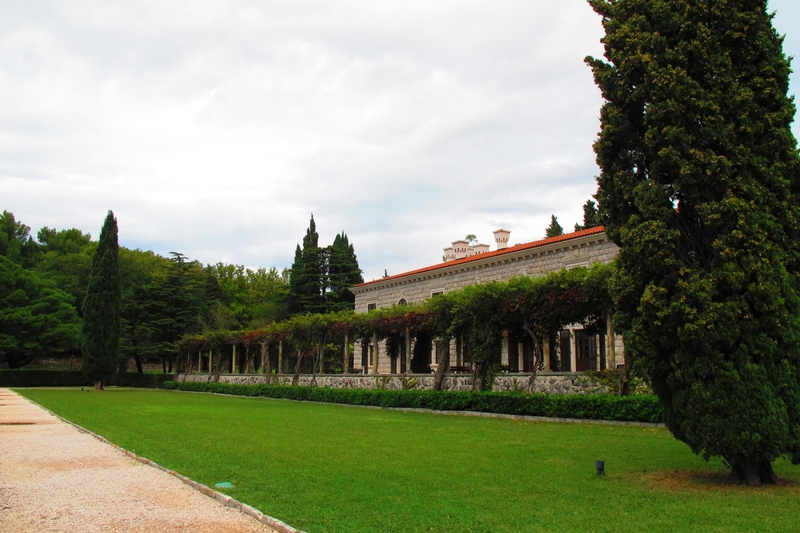 In early 2007, Aman Resorts, a Singapore based luxury resort operator won a contract to lease Sveti Stefan, along with Miločer and Kraljična beach resorts for a 30 year period. The island was subsequently closed and extensive renovations began. 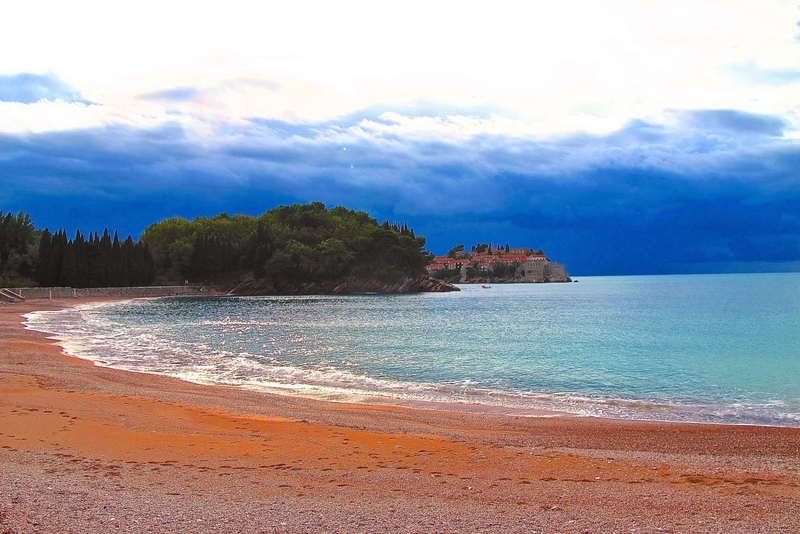 Sveti Stefan was finally re-opened and relaunched in 2010 with a concert by Italian tenor Andrea Bocelli. 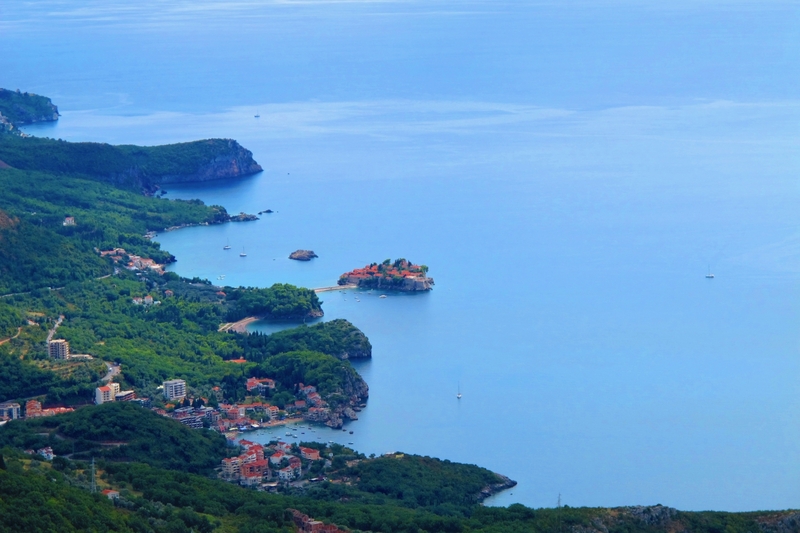 The site now incorporates two kilometres of coastline including the sandy beaches of Sveti Stefan, Miločer beach, and the famous Queens beach. Aman Sveti Stefan enjoys breathtaking views out to sea across the bay and along Montenegro's most renowned stretch of coastline. Under Aman, the property now includes the queen's former summer residence, overlooking the island from a mainline cove, which has been recast as the eight-suite luxury Miločer hotel. Sveti Stefan keeps being one of the favourite vacation places for many well-known stars, including actors, singers, sportsman etc. Also, it is a perfect spot for fairy-tale weddings, for those who plan to get married in loads of luxury and extravagance. Back in 2014, the famous tennis player Novak Đoković, said “I do” at Sveti Stefan, while enjoying the view over Adriatic together with his guests. Whilst access to the private resort island is limited, Sveti Stefan and the surrounding area including Pržno (a small fishing village with a beautiful cove) is well worth a visit. There are a number of beaches open to the public - for example, the beach at Pržno is a must, particularly out of high season and the beach to the left of the causeway (Kings beach) is free whilst the one to the right (Queens beach) is for hotel's guests only. Pržno is worth particular mention. Just a kilometre from Sveti Stefan, this small, quiet resort town surrounded by hilly olive groves and cedar forests retains the atmosphere of a traditional fishing village. Known for its seafood restaurants it’s busy enough to be lively in high season though not often overcrowded, with a handful of informal bars and restaurants lining the cove.